Morning ladies, I've got the next installment in Mabel Figworthy's Fancies Song of the Weather SAL for you today. This is June's block. 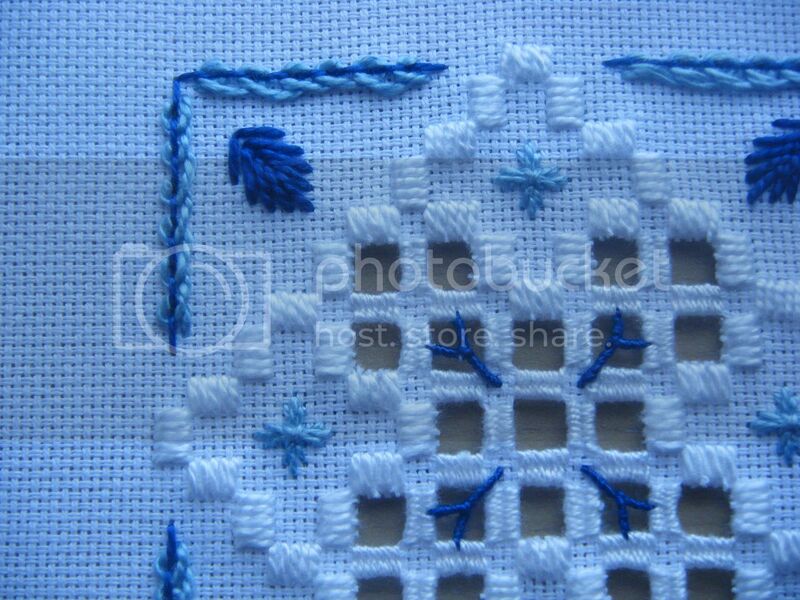 Once again, I can't get the white to show as white - the background fabric is the same white as the stitches, no idea what's going on there. I'm resigned to the fact I'll never get a decent picture of this project. I'm not convinced I've got the border right on this, but it looks pretty enough. 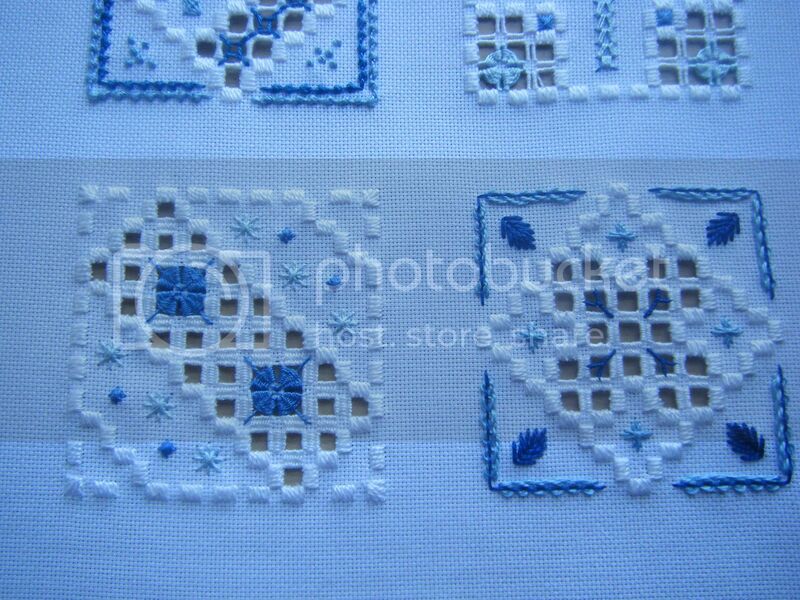 Those split twists (inside the cutwork squares) were a bugger to do! 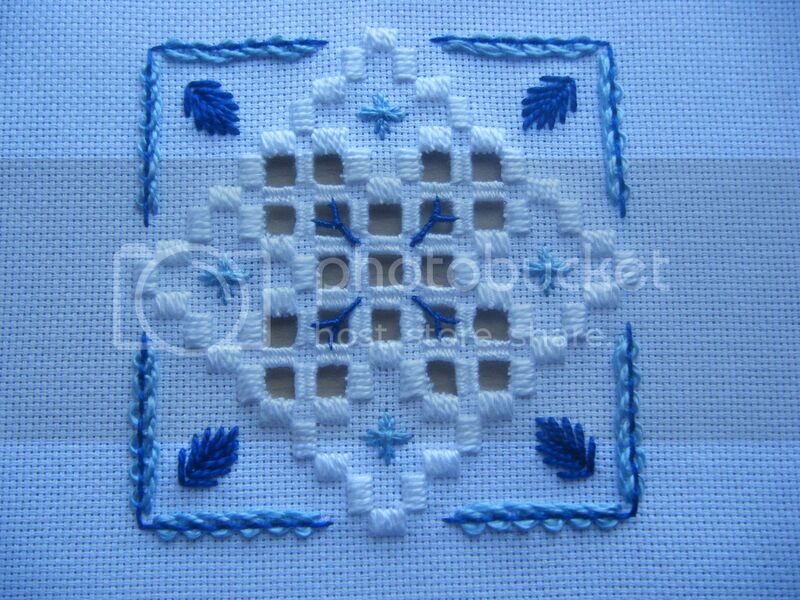 July's block is already out, so I should get on with stitching that, but I have a commission to do first! Commissions are scary! I do love those. Very delicate. Very pretty ... albeit a lovely shade of blue, lol! Commission??!! DO TELL!! I know,right? I always get freaked out when someone asks me to make them something! Even if it is something I make all the time. 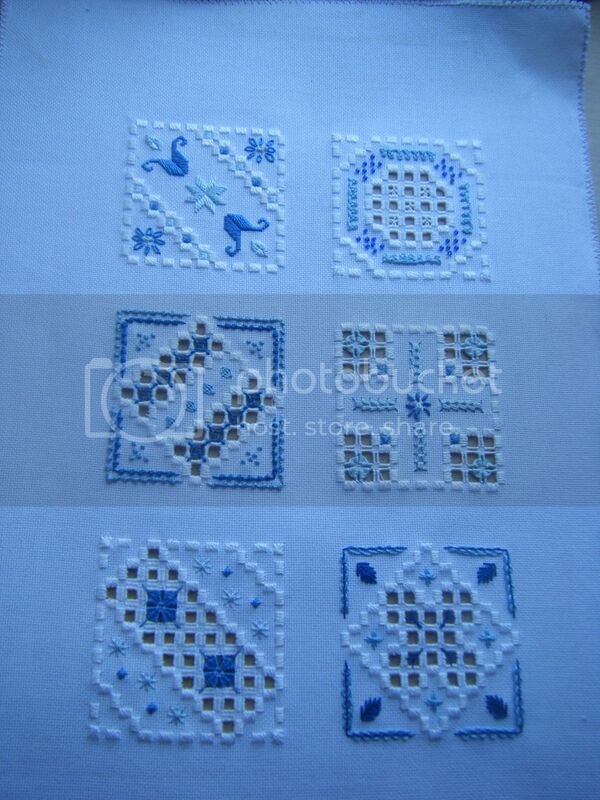 Another beautiful piece of hardanger Wendy. Well done! BEAUTIFUL ! Love all of your blocks ! An incredible and stunning piece Wendy! As for the photo taking, why don't you try photographing it outside? I am sure the result would be good. They're beautiful. Just love them. Lovely block! Congrats on the commission too.